1.- Planning the family trip. Next year I’m going to Spain with the family, and I’m already searching for things to do and places to visit! I really enjoy planning trips; the only upsetting part of it is that you can’t cram every wonderful place you want to visit in such a short period of time. 2.- Intouchables (The Intouchables): it’s a French comedy-drama about the friendship between a quadriplegic millionaire called Philippe and his live-in caregiver, Driss. Driss came into Philippe’s life unexpectedly, and added to his life the fun and freshness that he was missing. I really recommend this film! 3.- I began to press flowers. 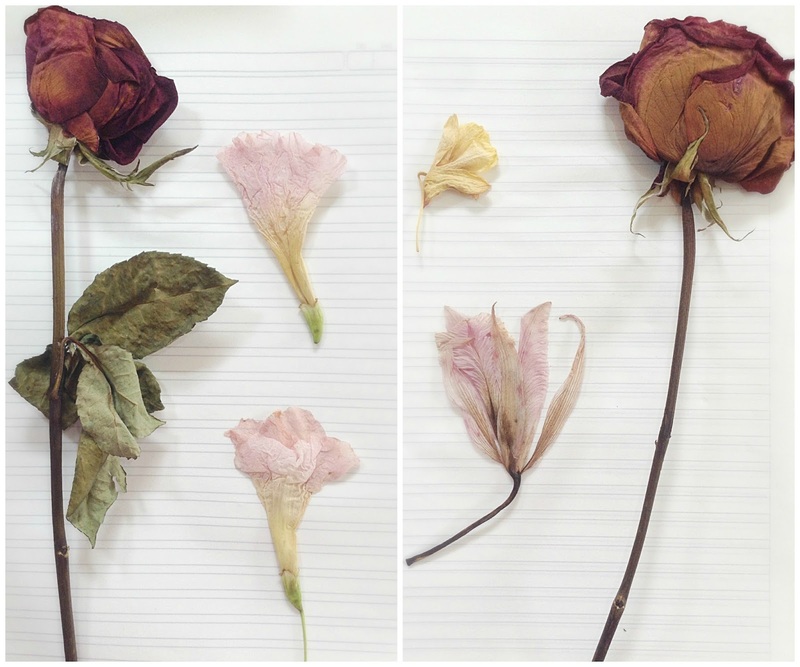 I remember I used to press flowers a long time ago, but always ended up throwing them away. Now I retook this hobby and I really enjoy it! 4.- Mornings spent picking figs. As a family with Palestinian roots, it is a tradition for us to keep a fig tree and a grape vine in our backyards (at least, it is like that within my family: all the members have one of each in their backyards). Around this season, the figs begin to ripen so every morning of this week I’ve been checking the tree for ripe figs. I don’t really like eating this fruit, but I do enjoy picking them! 6.- The Journeys of a Girl reached +5500 views! I’m so happy for this! Thank you so much guys! 7.- I found an old “scrapbook” from when I was in high school. Every year I would cut up all the doodlings, drawings, and quotes for my school notebooks and would paste them into this “scrapbook”. I would also paste some pictures of the school year. It was nice to relive old memories, but I also took advantage of the blank pages and decided to fill them with the quotes and drawings from my first year of college. 8.- That old “scrapbook” also had a few writings from friends of mine, so I snapped a picture of one of the writings and sent it to the friend who had written it. This led to an almost 2-hour long chatting through Facebook messenger. It was nice to talk to my friend again; I hadn’t talked to her since forever ago! 9.- My bed has become cozier in the mornings. The nights have turned colder here in Guayaquil, and I love the cozy feeling my duvets bring me: they are so warm and soft! It really makes me wanna stay in bed all day. 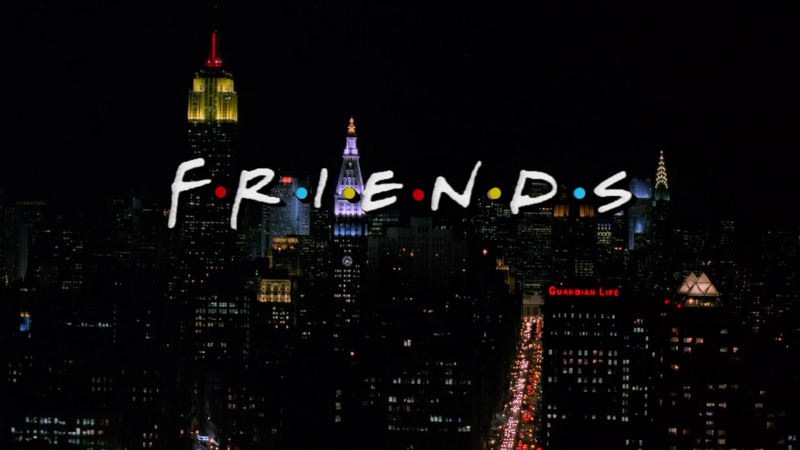 10.- I began rewatching FRIENDS from the very first episode of Season 1 and I intend to watch all of the episodes until the very end of the series! I’ve always loved FRIENDS, but I’ve never gotten the chance to watch every single episode. Thank you Netflix for allowing me to do this! What brought you joy during this week? Flower pressing sounds so fun, I tried it once a few years ago to no real success! Also, congratulations on 5500 views! Hello! And welcome to The Journeys of a Girl. I'm Salha and I'm a 20 year old girl from Ecuador. 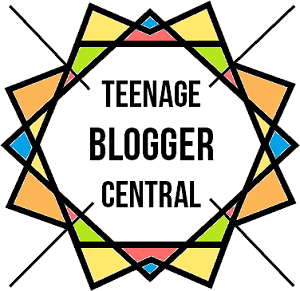 In this blog, you'll find everything about books, films, my traveling adventures, and much more! The Journeys of a Girl. Powered by Blogger.